View of Keningau Town from the resort. 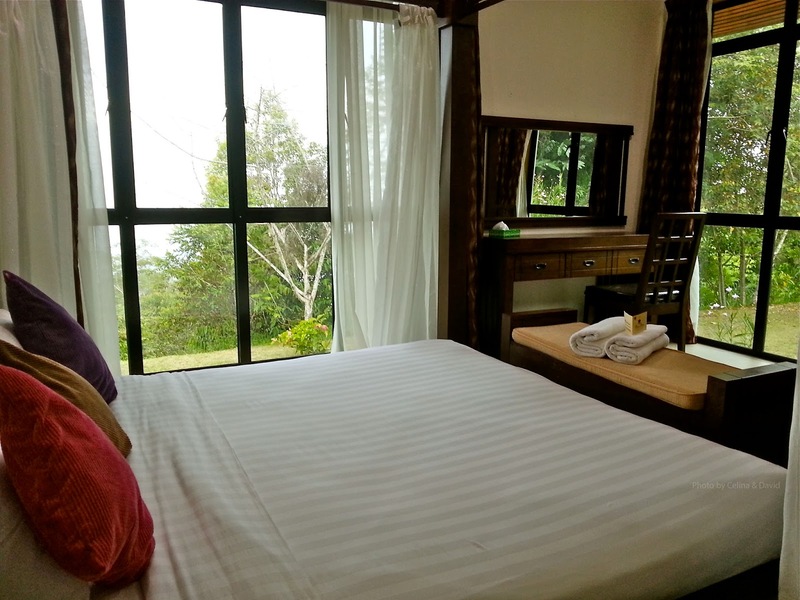 Tucked away amongst the cool forest clad mountains of the Crocker range lies the modest highland resort called Manis Manis “Rooftop of Borneo”. 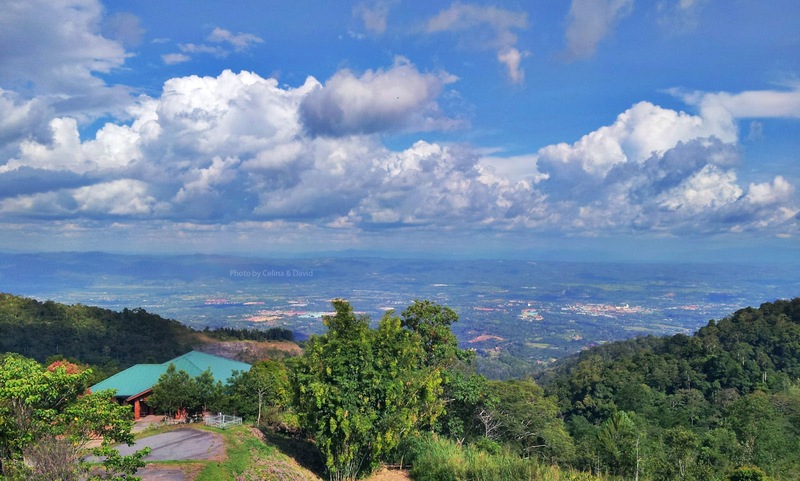 Situated 14 Km along Keningau –Kimanis highway, the resort is located within the Crocker range Park ( Keningau ) at the altitude of about 1000m above sea level . There are 2 routes to get to the resort. The long way involves driving from Kota Kinabalu through Tambunan to Keningau and then taking the Kimanis road for about 15mins to the Park Head quarters. The shorter and more direct route would be to drive to Kimanis and then through the mountains to Keningau. This route is more popular as its much shorter, however it has some rather steep stretches. Look out for the resort signs on the left side of the road if you’re driving from Kimanis. You need to take a sharp left and drive in as the resort is hidden from the main road. Innamon Cafe - restaurant with a view. The main attraction of the resort is its cool climate and serenity. For activities, one can visit the Nature Education Centre with its Fernarium, native species orchids, and pitcher plants. There is also a 2 km nature trail with Rafflesia sites and if your lucky you might be able to see it in bloom. The Park is gaining popularity with Birders who visit the park as part of their birding itinerary for Borneo birds. 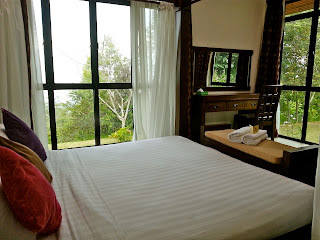 If your looking for a cool destination for a weekend getaway with that special someone or want to spend some quality family bonding time, head over to the Manis Manis “Rooftop of Borneo” resort for a relaxing holiday. Check out “Groupon” for special promotions. Passing the entrance gate, you soon arrive at the resort, which is built on the sides of a ridge. The area used to be part of an agricultural station under the Government and the road here is lined with stately Cinnamon trees and various exotic tropical fruit trees can be found growing around the camping grounds. The resort has various categories of accommodation from elegantly appointed chalets to family rooms, dormitories and even camping grounds. There are 2 units of Semi-detached chalets, each with 2 rooms. These are very elegantly furnished with a wooden four-poster bed and reproduction antique Chinese cupboards and dressers. The family rooms and dorms are furnished with single beds and share common toilets and hot water showers. Set amidst a grove of cinnamon trees is the camping ground that has basic structures of zinc roofs and cements floors where you can pitch you tent, protected from the elements. This is perfect for school groups or even families wanting to camp out but with the comforts of basic toilet and shower facilities. Food and drinks are available at the Cinnamon café and though the menu is rather limited to say the least, it does have a selection of local favourites.